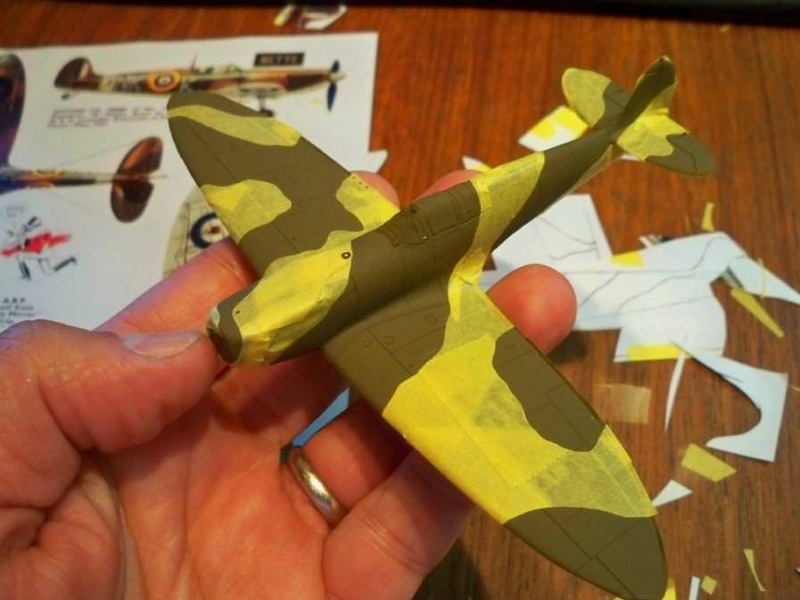 I need help from anyone who built the current airfix hurricane kit. 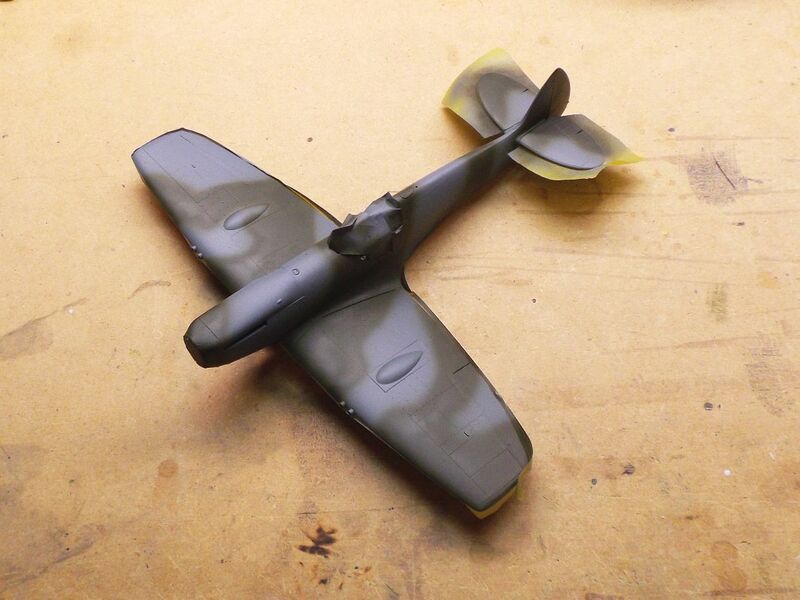 To anyone who has built or is building this kit i ask did you have any problem mating the wings to the fuselage? 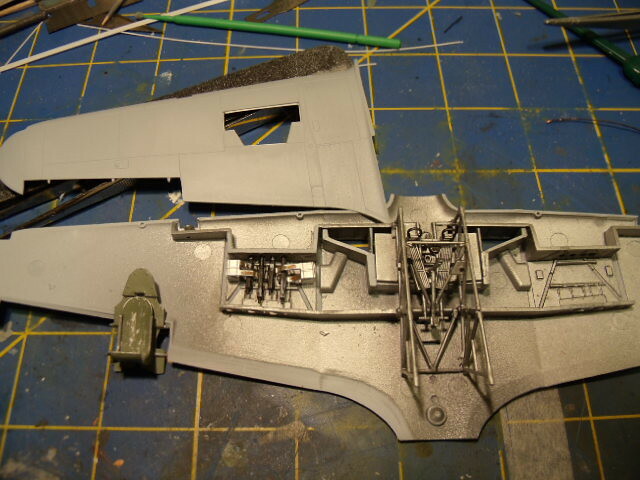 i cant get the leading edge of the wings to fit flush with the lower cowl. the trailing edge seems to fit fine to the rear insert but the front is hitting something. the wing root fits up to the fuselsge but it looks like to me there needs to be some plastic removed to allow the wing assembly to settle in flush to the cowl insert. what did i do wrong. 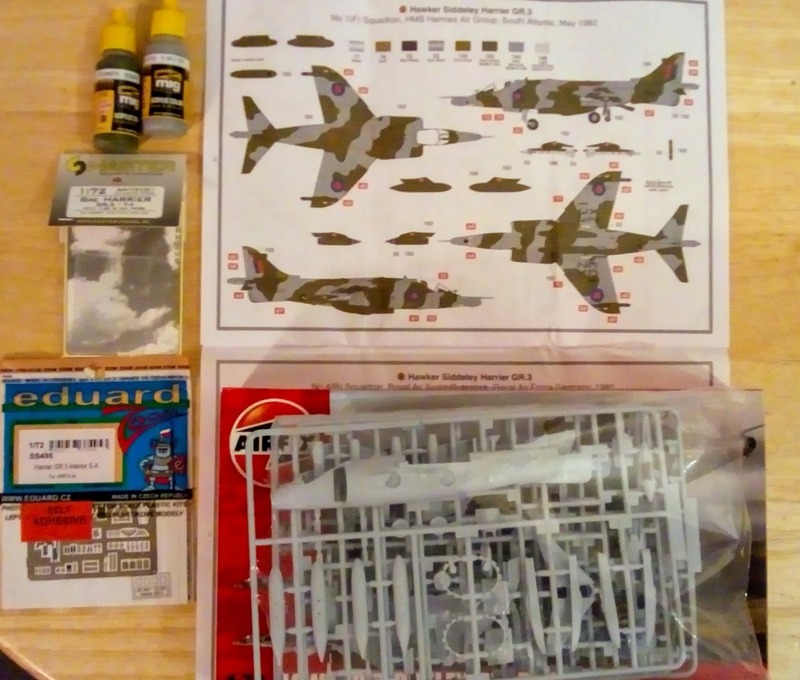 After what I thought was going to be a detour "quick, little build" of a Tamiya A6M2 "Rufe" floatplane, I'm back to work on my 1/72 Spitfire. Should be done soon. the interior before i closed it up in the fuselage. where i'm at now. i opened the port gun bay, and made a representation of a sutton harness from scratch. i forgot to photo it before i enclosed it in the fuselage so i did the best i could taking a photo. 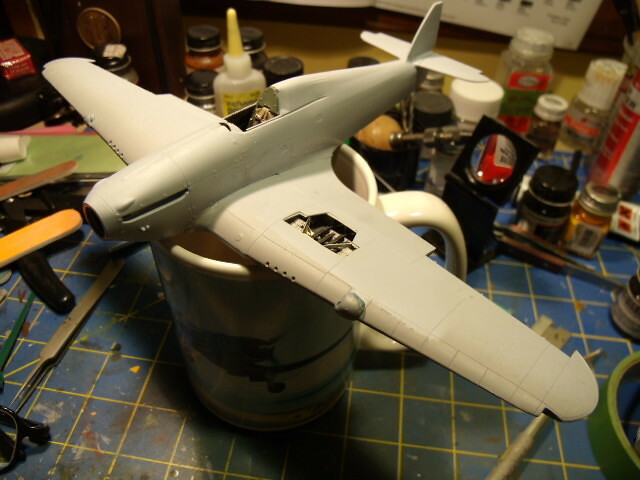 i had some trouble with the fit of the wings to the fuselage but i figured it out. almost time for paint. Modelling MoJo has been gone for quite some time. I managed to get the dark green on this here Spit. i was away from my stash and models during the 2017-2018 school year because i went back to studies (in addition to my job so no more free time...) but now i'm in "holydays" (but to my current job ! ) so i want so much to glue and paint some plastic ! 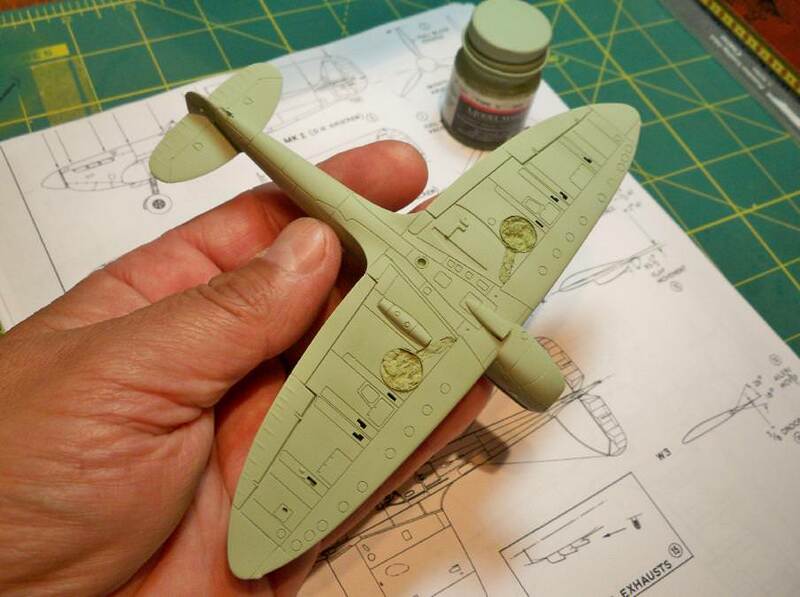 I've finally had a chance to get started on the Mosquito. I'm building the MkXVIII version so the nose had to be cut from the fuselage and the correct nose for the MkXVIII attached. I used a very fine saw blade and smoothed the ends with a sanding stick and very fine sand paper. 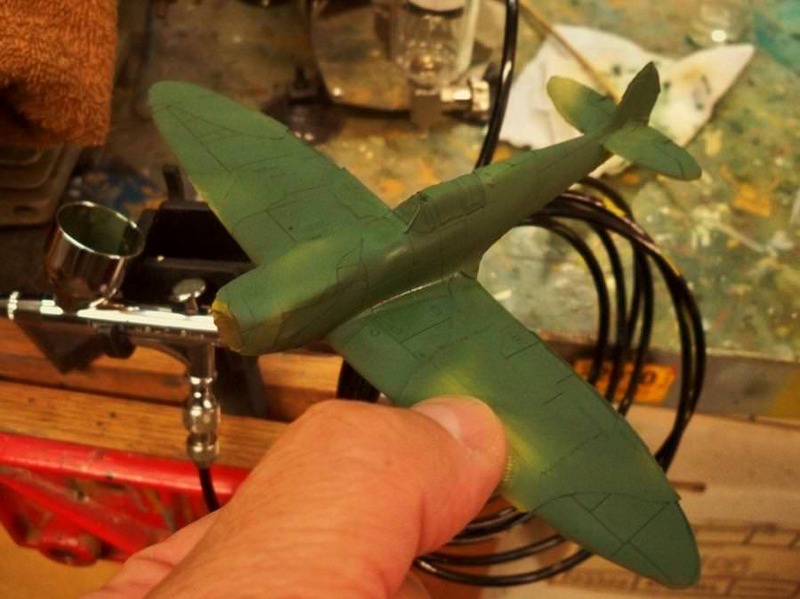 The gaps were filled with Squadron Green Putty and it came out smooth with no offset. 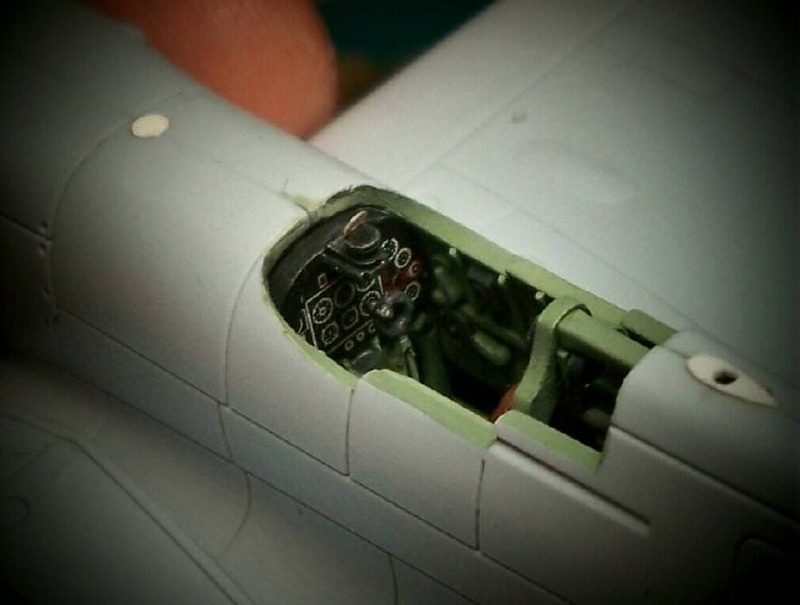 The fuselage went together well, small amount of putty was used on the bottom in front just aft of the cannon. Enjoying watching your great builds and learning. 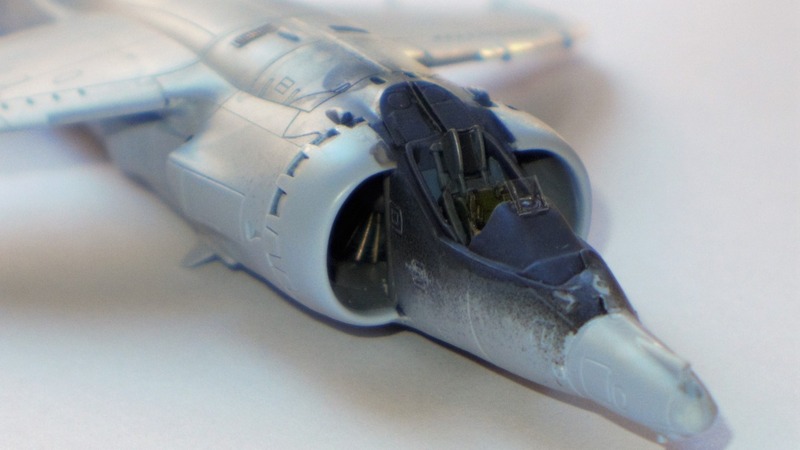 Nico, I agree the new tooled Airfix kits are great. Firstsargeant, your skeeter is looking good. I like the aircrew. 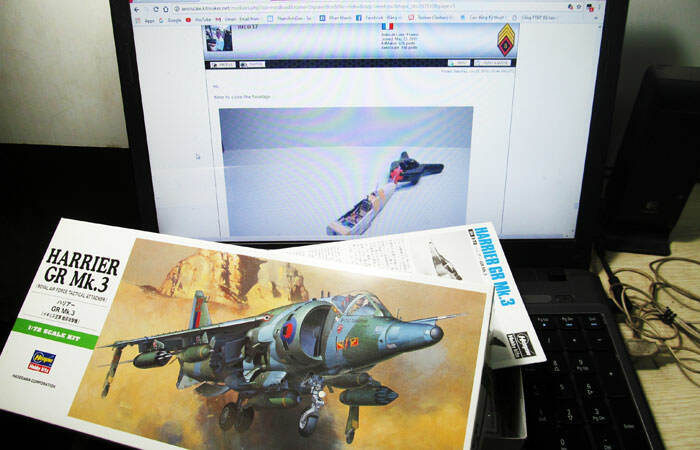 I will go for a Airfix 1:72 Hawker Siddeley Harrier GR.3. Some cool buids going on. 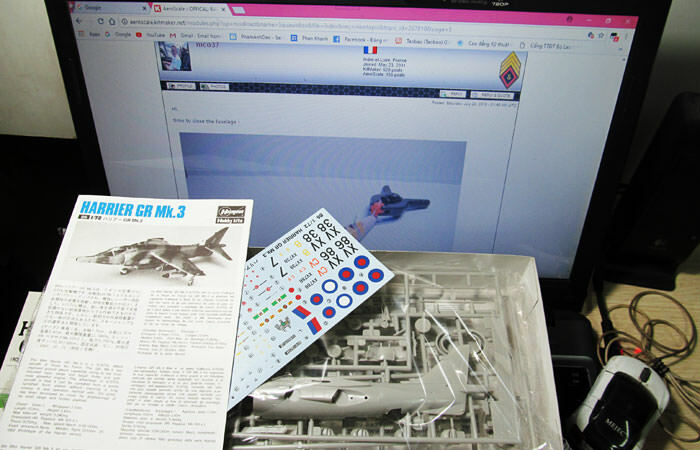 Hopefully will get my Jet Provost started this weekend. K, another GR.3! I love them. Nico, good progress on the Gladiator, I love the model but I am too scared of rigging. Mike, the spit camo is looking good. So far I have made a couple of mistakes: I glued the wrong tail and the colour of the cockpit is wrong. I googled for so long that I got confused... Next time I will choose the right one! Some small fit issues with intake ring, but otherwise builds fine. I think this is 1997 kit with new decals. 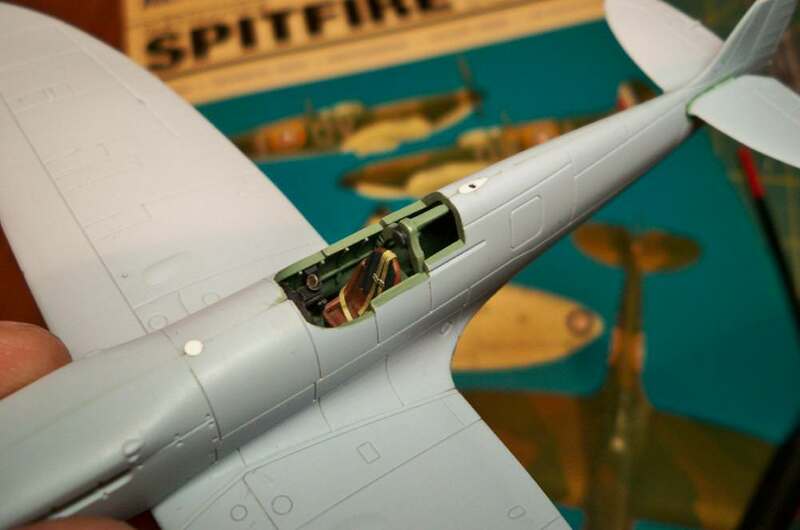 Airfix has always made good Spitfires, and their most recent 1/72 Mk.I/Mk.IIa release is no exception. 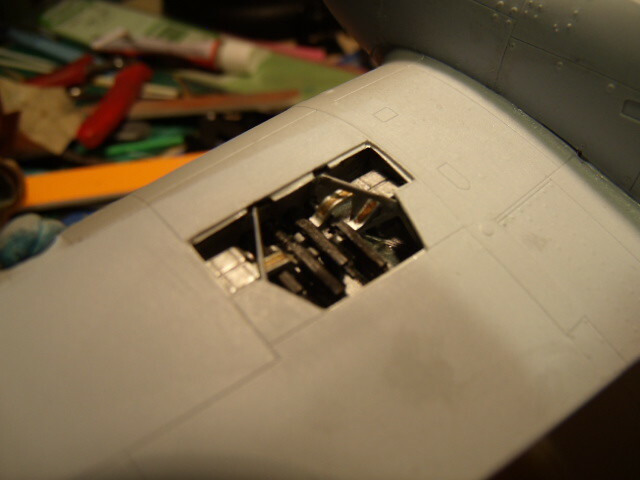 This build will be mostly out of the box; here’s the cockpit as provided in the kit – excellent! The only alterations I made were to replace the kit’s rectangular gunsight with a simple Barr and Stroud GM2 made from plastic discs and to add masking tape seatbelts. 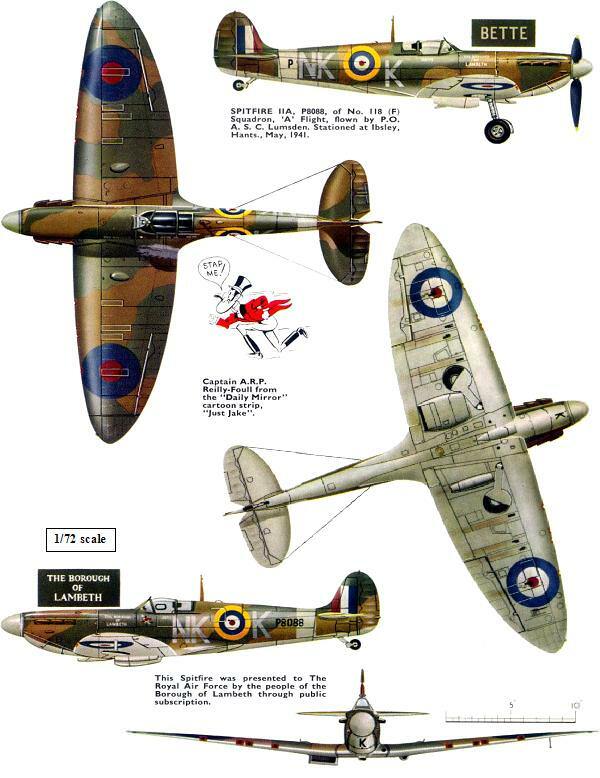 This was the aircraft so beautifully depicted in the old Profile Publications monograph on the Spitfire I & II from 1965. 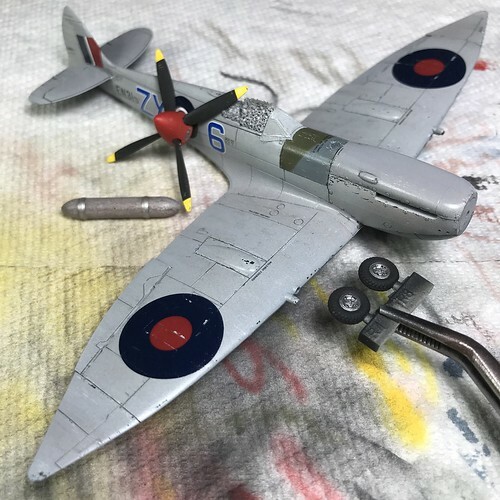 After painting a base coat of Model Master R.A.F. Dark Earth enamel, I used that rendering as the pattern to make camouflage masks. The green parts of the scheme were then shot with Humbrol HB1 Green enamel. Gotta love that sand and spinach! 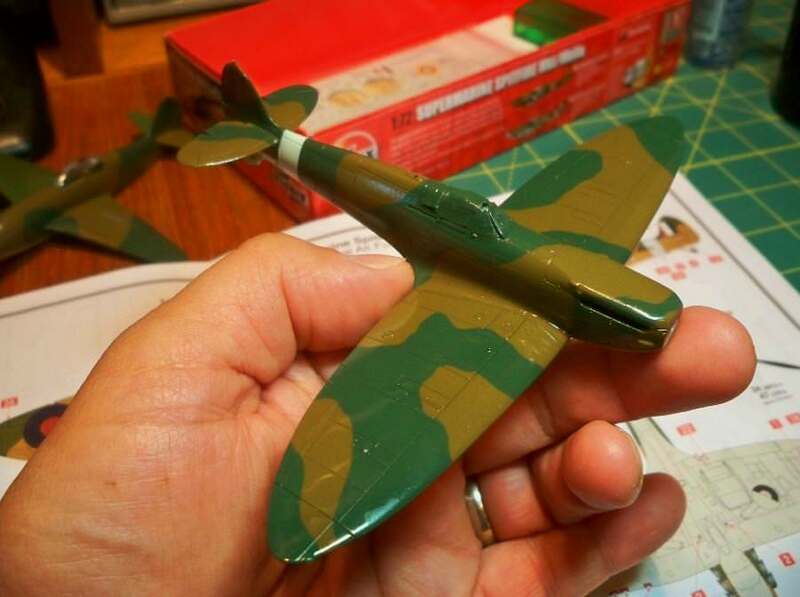 Tim, That is a great looking Spitfire. I have done lots of painting this weekend. Most of it fixing previous mistakes, I should have done better the first time. I had my first go with Mig acrylics. They didn't work for me. I normally use Vallejo and I found them too opaque even heavily thinned and too tricky. Colours look spot on for me, though. 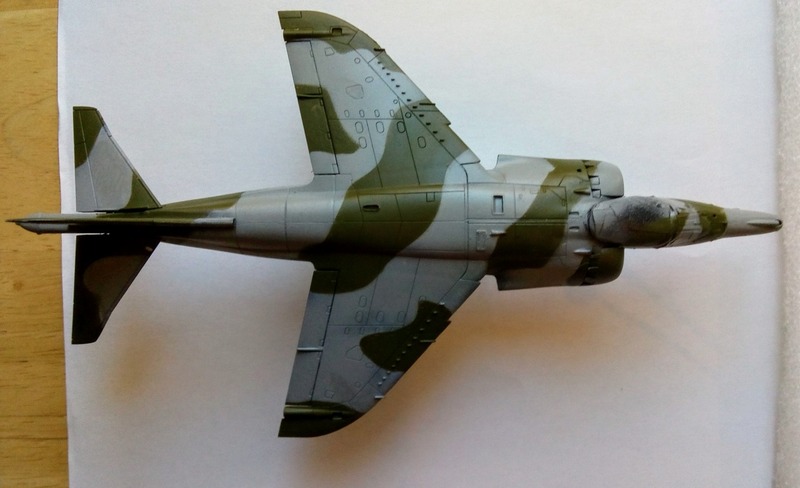 That Harrier scheme looks great - I think you got those acrylic colors looking just right! 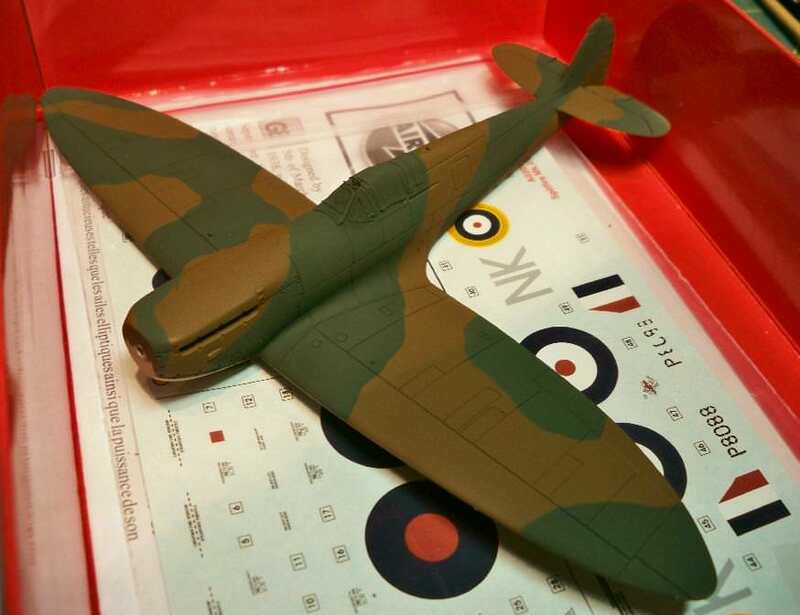 On my Spitfire, the undersides have received a coat of Model Master Sky Type S enamel. 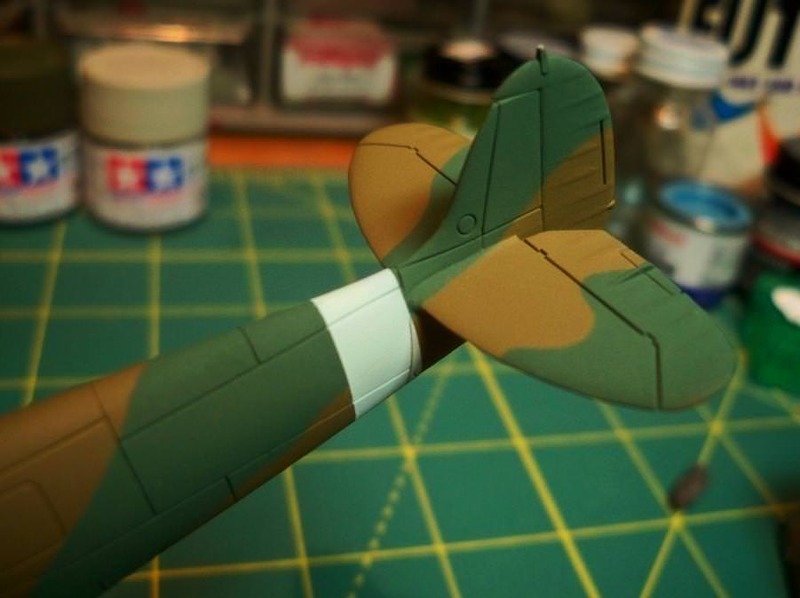 The fuselage band was painted Model Master Duck Egg Blue. 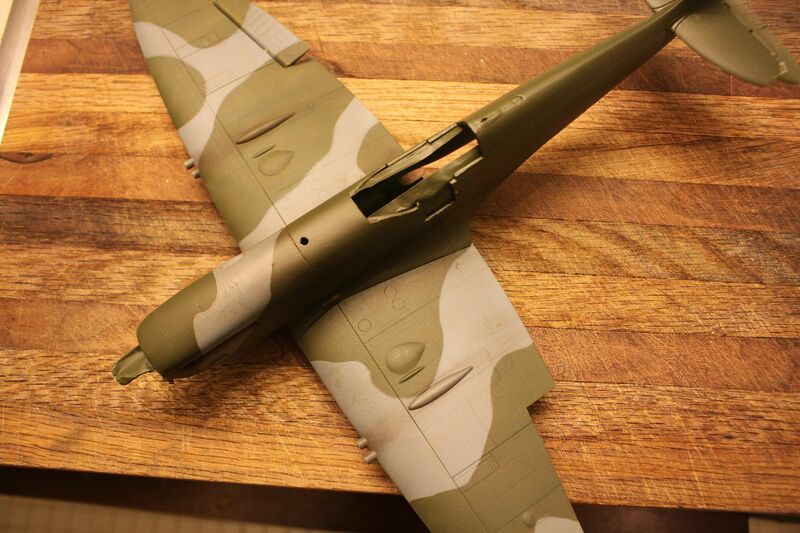 After that, the whole airframe was prepped for decals with a coat of Future acrylic. 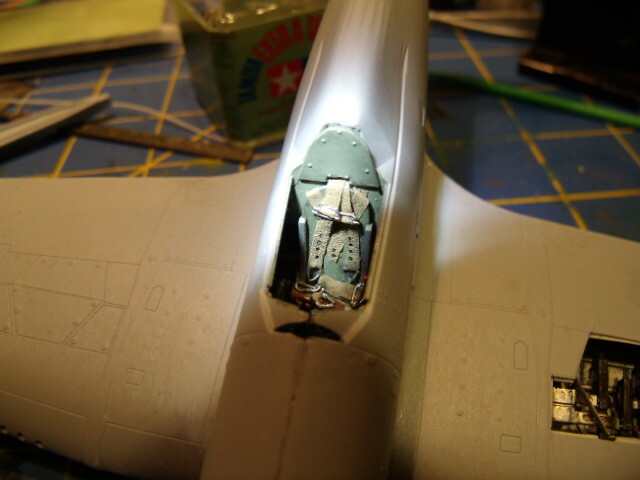 Decaling began with the underside. 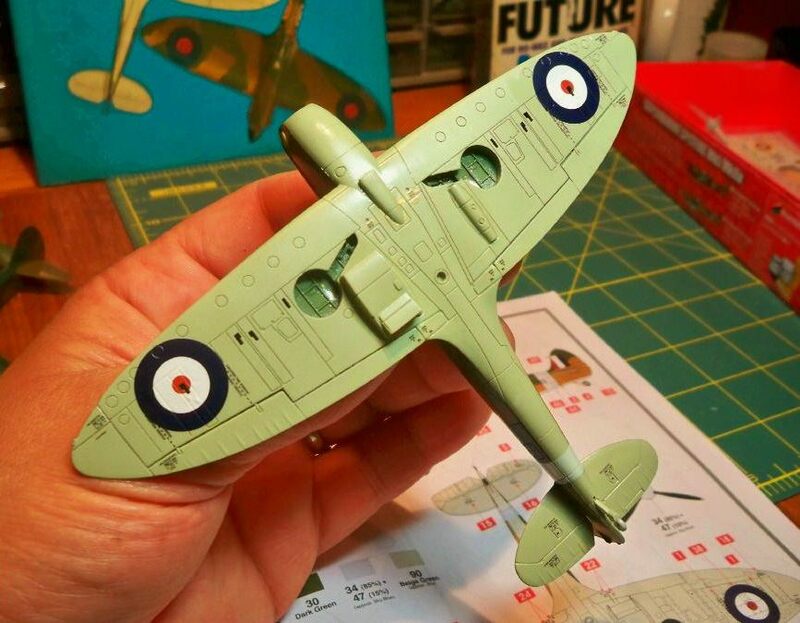 Unlike those not-so-great decals I was used to from my childhood Airfix builds, the decals in their newer releases are fantastic! I especially appreciate the extensive stenciling and clear instructions on where to place each of them. Removed by original poster on 08/13/18 - 03:31:56 (GMT).